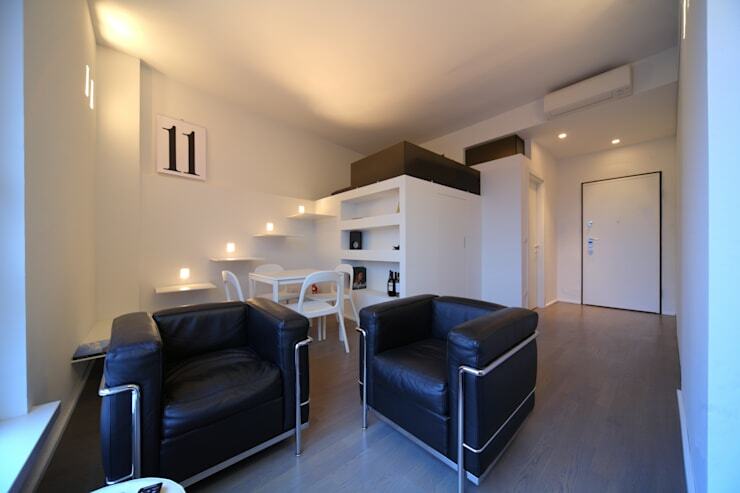 If you're looking for a sleek, modern, simple apartment, look no further. 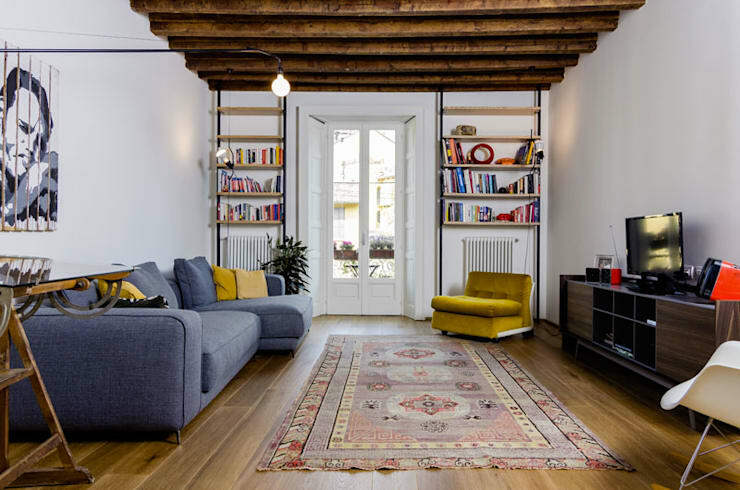 These ten gorgeous spaces will inspire your own simple apartment, whether you're working with 360 square feet or 2060. This serene beauty has the classic modern combination of white walls, ceiling, and rich hardwood flooring. This is a must-consider combination for any modern building, that works well in virtually every circumstance. Just because you're using that simple combination of white and wood, doesn't mean you can't be bold. There's two directions to go with this, put a boldly patterned carpet on the floor, or draw attention up with a creative ceiling. Or, you culd do both! 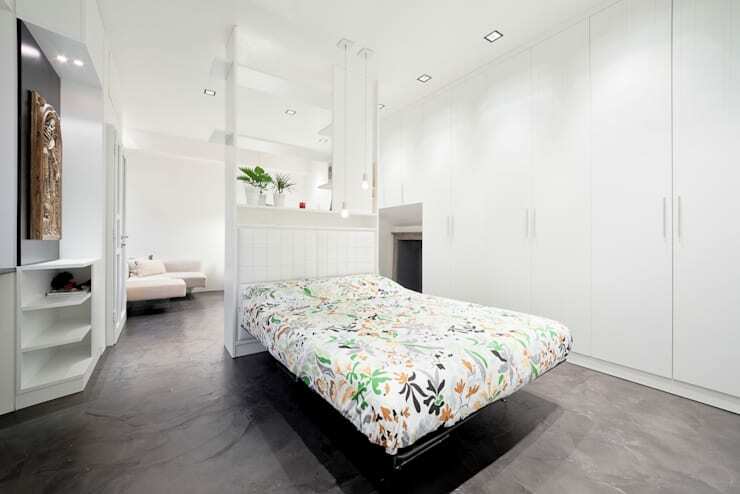 This small apartment take a creative twist on the Murphy bed (which pulls up to turn into a wall). 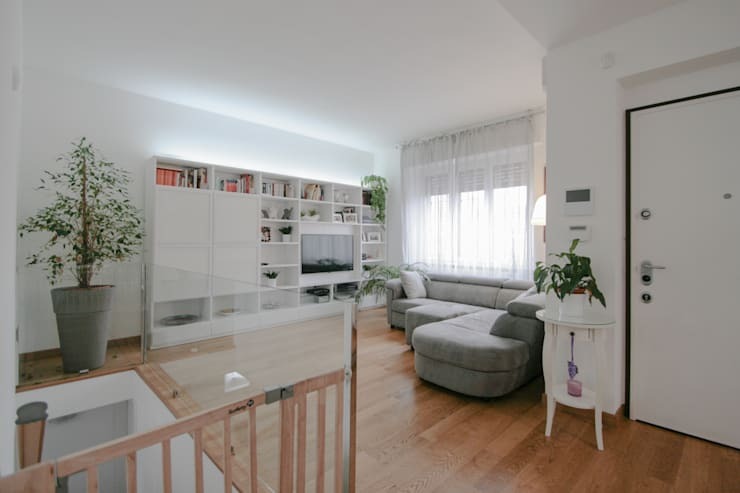 To keep the space somewhat separated the interior designers made a partial wall which makes the apartment feel like it has two spaces, without making either feel smaller! 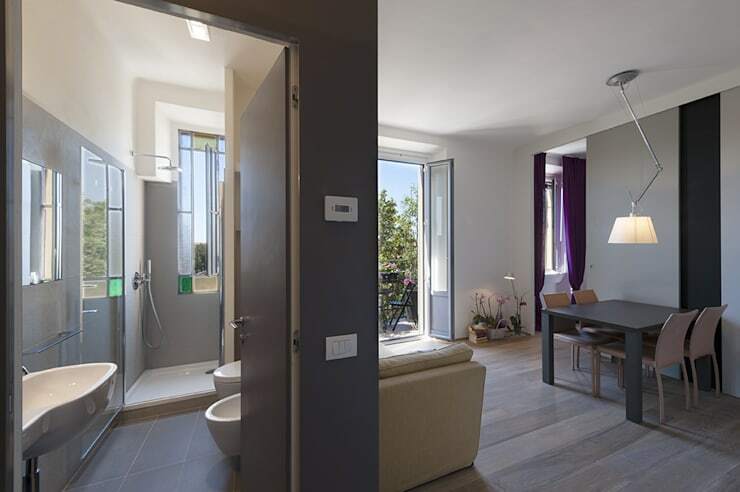 Small apartments tend to sacrifice on bathroom size but, trust us, that is not a decision you want to make! The architects behind this incredible home found a way to include a long bathroom that feels spacious and has every amenity. One very important component of small apartments is organization. 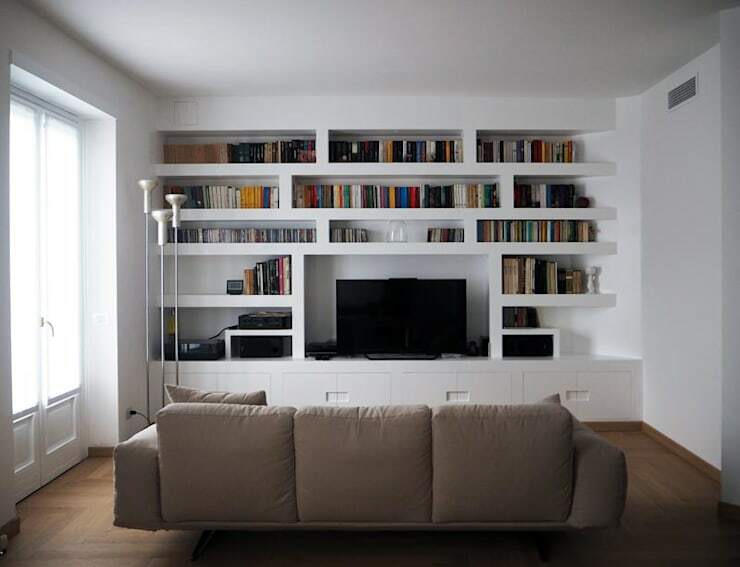 This apartment seamlessly combines the shelving in with the white walls, to create a crisp look that only enhances the open and organized feel of the room. Glass walls are just not used enough! Look at this beauty! 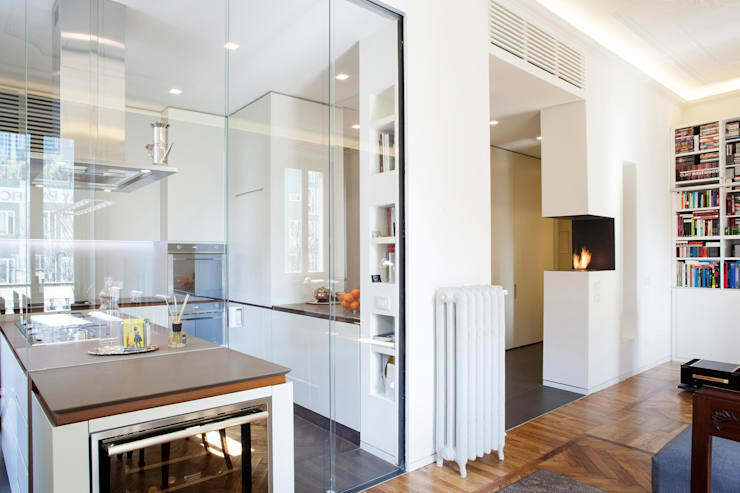 It also has some lovely features tucked into the corners, like the edgy fireplace and the embedded shelving! If you are going with the modern palette of white, a great colour to throw in as an accent is ivory. The atmosphere is completely soft, dreamy, and relaxing. 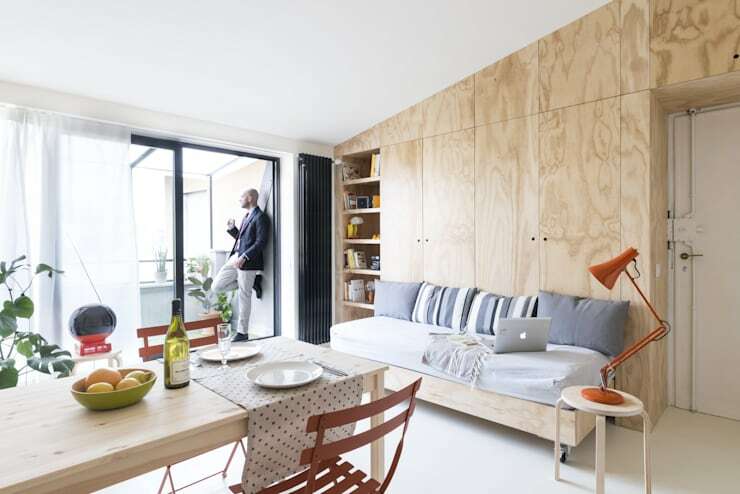 This small apartment is very cost effective with it's sheets of corrugated wood! That's an easy way to add a whole bunch of shelving on a tiny budget. 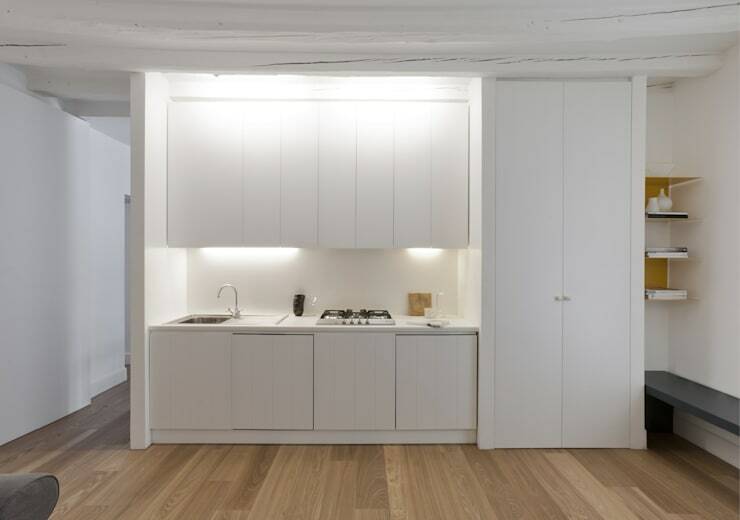 Fans of minimalism will love this ultra-sleek kitchen. It has enough space to tuck everything away, and feels, a first glance, just like any other wall. This apartment is severely limited by size. But that hasn't stopped some creative designers from making the most of the vertical space! Up the cleverly designed steps, which are disguised as shelves, there's a bedroom space that feels separate and secluded. Looking for some more inspiration? How about these six tips to make a great first impression on your guests? Which of these ten apartments was your favourite?